You track it. We’ll mix and master it. Do you use Pro Tools LE, Garage Band, Acid, Logic, or other NLE to record your music? Yes? That’s great! We encourage artists to record their ideas while the creative juices are flowing. Sometimes recording at home just makes sense. We’ve worked with so many musicians over the years who enjoy recording at home. 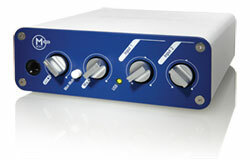 They want the convenience of recording whenever they feel like it, but they also want the polished, major-label sound. That’s where we come in. You track it, and we help during the mixing and mastering process. 1. Record using your NLE of choice. Of course we recommend Pro Tools LE, but other NLE software will work too. Just make sure your software records high quality .wav or .aif format and allows you to export individual tracks. TIP: record your guitar tracks dry. We can add distortion and effects during the mixing process. 2. Once you record your music, export each track individually as a high-quality .wav or .aif. 3. Copy your audio files to a disc or hard drive and bring it to your mixing session. That’s it! Ready to move forward? NOTE: You can get the Mbox 2 Mini for under $299 (compare prices on Google Product Search), and it includes Pro Tools LE for Windows and Mac. Just plug in the USB cord, install the software, and you’re set. If you use Pro Tools for tracking, then you don’t have to worry about exporting individual tracks. Simply copy your project and audio files to disc or hard drive, and bring it to your mixing session. We would also like to recommend that you work with www.PascoeSound.com for any of your repairs. From Amps to Guitars to recording gear, we send all our work to these guys. They are professional and have competitive fees for service.